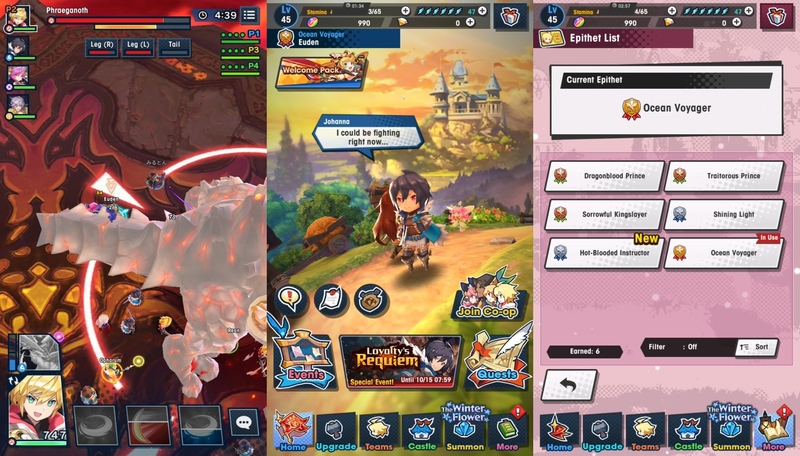 [Guide] Dragalia Lost: What are Epithets? How do I Unlock them? And How Many are There? Being an RPG, Dragalia Lost would not be living up to its genre if it didn’t make the players scratch their heads when it comes to one aspect of the game and for some, it might just be the Epithets. But don’t worry, by the time you’re done wit 0+ h this guide, you will no longer be pulling your hair out and instead, you’ll be embarking on the wondrous journey of claiming the titles you seek. Let’s begin! In Dragalia Lost, Epithets are obtainable titles that players can acquire via various means. Once obtained, you can set your favourite one to define yourself, especially when playing co-op mode. How do I change my Epithet? From the home screen, press the More tab. A menu will then pop up and one of the options you’ll see, is Player Info. Be sure to press on Player Info tab to bring up another menu and press on Profile. From there you should see a screen where nearer to the bottom of screen, you’ll see the word Epithet and a change tab next to it. Click on Change. You should now see a screen where all the Epithets you have acquired, are presented. Press the one you wish to change to and touch Change when prompted to. If you have done as instructed, a prompt will pop up saying you have changed your Epithet. Congrats! What are the Ways I can earn Epithets? Read the fifth adventurer story (Episode 5) for any adventurer you have. Reach Bond Level 15 with Dragons such as Mercury, Poseidon & more. Is there a Big List of Epithets I can look at? As always, we hope you found this guide helpful. But remember, in order to get adventurer and dragon specific epithets, you will need to have that character and/or dragon. Thanks for stopping by!